Morocco’s army is very well equipped and trained and has had intensive experience in desert fighting due to the country’s counter-insurgency operations in the Western Sahara. The military also maintains a strong relationship with both the United States of America and France. Having one of the biggest armies in Africa makes Morocco a military heavyweight on the continent, something it deems necessary to counter its rival and neighbour Algeria, which has an even larger military. The ongoing conflict in the Western Sahara between Morocco and the Polisario Front (PF) has often brought the Moroccan military into controversy, especially over suspected human rights abuses against Sahrawi civilians. The military also continues to battle problems with corruption and poorly educated soldiers and faces an inefficient bureaucracy. The lack of a Ministry of Defence as such (the armed forces are administered by the Office of the Prime Minister through a Minister Delegate) has also hampered the military. Although the country’s air force is dated, some modern aircraft have been acquired, such as a shipment of F-16s which arrived in 2012 as part of a larger package. However the majority of the country’s aircraft were bought in the 1980s and will have to be replaced in the future. Morocco’s navy is also aging and is proving incapable of countering the increase in smuggling across the Mediterranean, although the navy has been boosted by the recent acquisition of corvettes and frigates. The government has announced an intention to significantly increase defence spending at an annual growth rate of 4.4% between 2014 and 2018. Equipment purchases are expected to focus on fighter aircraft acquisition along with submarines and patrol boats. The majority of this is expected to be done with the USA and other NATO countries as Morocco has no local defence industry of its own. External	 • Morocco is currently facing no external security threat. Internal • Morocco is currently facing internal security threats presented by the Polisario Front (PF) which controls 25% of the territory in Western Sahara. •	Morocco also faces a limited threat from the rise of Islamic fundamentalism and a rise in domestic terrorism. Regional • Morocco faces no significant regional threats although rivalry continues with neighbouring Algeria. Political • Morocco has managed to maintain a strong level of political stability despite the spread of the Arab Spring and pro-democracy movements in the region. 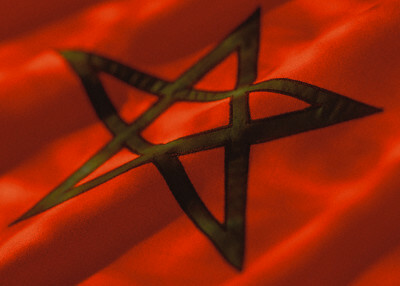 Economic	 • Morocco’s economy is largely driven by agriculture, phosphates and tourism. The country does suffer economically as it has to import fuel.